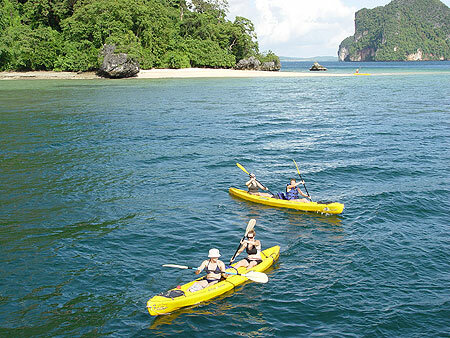 Sea Canoe Thailand (Thai Native Operator) would like to offer this special package to be an optional tour program for school camp, incentive, seminar, & charter aim to student group, company’s employee or group even. 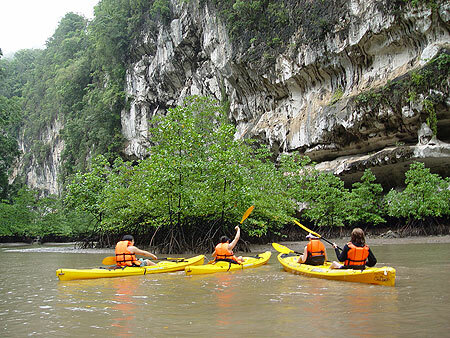 We will lead you to visit the beautiful scenery of Phang Nga Bay & Krabi. 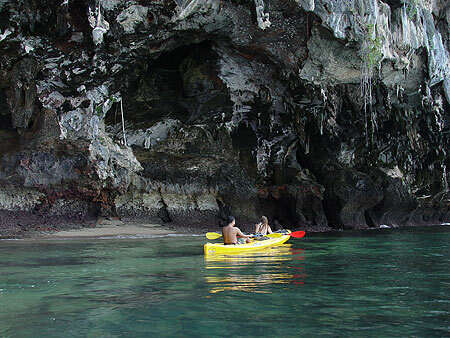 Self Paddling, snorkeling and nature studying are included in the program. Opportunity for local cultural experienced. 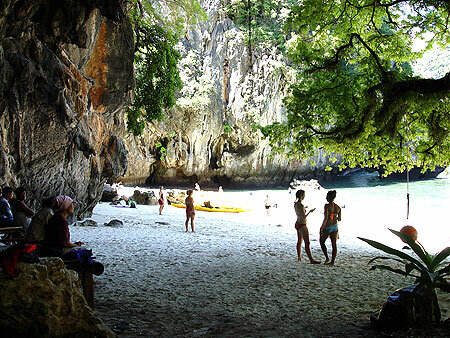 08.30 Land transfer to Ao Po Pier which is located at on the Northeast of Phuket Island. 09:30 Arrive at Ao Po Pier. 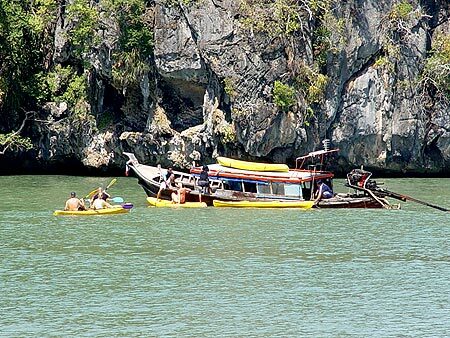 Welcome on board with fresh fruit and transfer by boat to the unbelievable Phang Nga National Park. 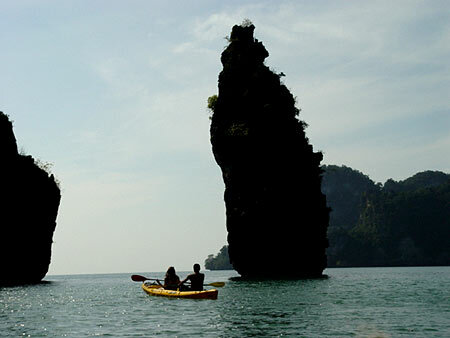 10:45 Arrive at “Koh Panak”. 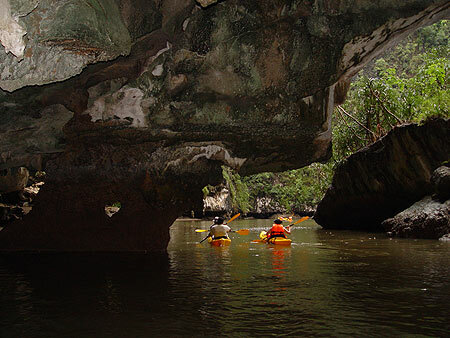 Basic paddle instruction, then exploring 4-5 km with wide caves by self paddling around the island. 12:30 Delicious traditional Thai Lunch on board. 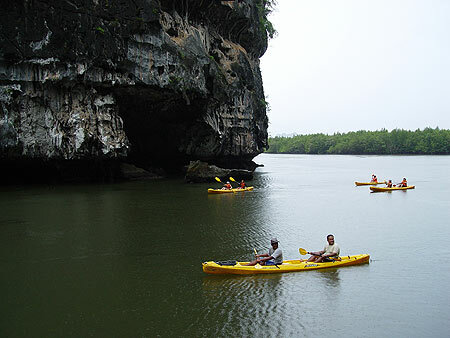 13:30 Depart to “ Koh Lau Gudu ” to self paddling through beautiful scenery, limestone cliffs, stalactite, stalagmite. 16:00 Depart to Koh Yao Noi to check in at Tha Khao Bungalow. It's a relaxing, simple bungalow with fan and hot water. 18:30 BBQ Dinner at bungalow’s restaurant. 19:30 An authentic Muay Thai show by “ Thai Boxer” with a chance to participate, and learn afterwards. 08:30 Check out with luggages from bungalow. Board the support boat with personal belongings. 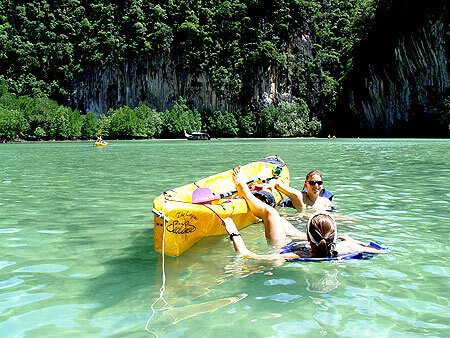 09.30 Enjoy and relax with the breathtaking scenery during journey to Koh Hong or Talen depending on the tides. 12:00 Another wonderful lunch on board while travelling to Klong Talen. 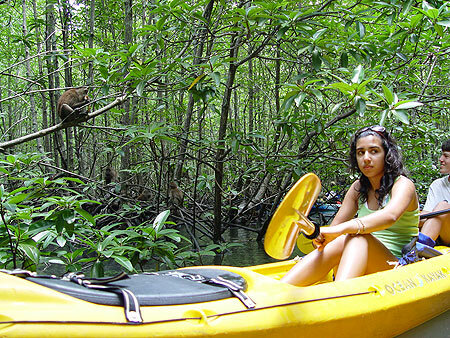 13:00 Start exploring by self-paddling at “The Mangrove Swamp”. Where we have a chance to see Monitar Lizards, kingfishers, Crab-eating Macaques, and Dusty Leaf Monkeys. 16.30 Arrive at Ao Po pier after a long day of exploring for transfer to the hotel or airport. Extra pay 900 Baht per one from 20 Dec.-10 Jan.
What to Bring: Swimwear, T-shirts, shorts, long pants, long sleeved shirt, towel, sun hat, sunscreen (SPF 15 minimum), camera, lots of film, toiletries, sun-glasses, waterproof sandals or flip flops and snorkeling gear. Information contained in this document is not contractual. Information is offered to give an idea of the type of trip that is offered. Times and locales will often vary according to tides, weather, and the decisions of the expedition leader. Our objective is to give customers the best possible experience within the time frame of the expedition, and as a matter of policy we continually update and improve products to achieve this aim. Phang Nga & Krabi "A Day In The Islands"